The Short Version: Food blogger Stephanie Manley founded CopyKat to give home cooks a way to bring fine dining into their own kitchens. On CopyKat.com, she posts over 2,000 recipes that perfectly recreate the signature dishes of popular restaurants. If you’re craving Outback’s Bloomin’ Onion or Olive Garden’s Chicken Scampi, you can follow an easy guide to make it yourself using ingredients found at your local grocery store. Daters can refer to the website to save themselves the money and hassle of going out to eat and bring savory, mouth-watering dishes into a more private setting. From appetizers to desserts, CopyKat offers many indulgent recipes to help couples bond over an intimate meal at home. My worst second date ever seemed so promising at the outset. We’d picked a nice Italian restaurant with a covered patio by a lake. It was a brisk September evening, and I was already looking forward to splitting a slice of cheesecake over candlelight. Seems like a winner, right? Well, what we didn’t know when putting in the reservation was that a rehearsal dinner would be seated right next to us. Fifteen rowdy people filled the night air with applause, clinking glasses, and overlapping voices. I’m all for celebrating your impending marriage, but I could barely hear myself think, let alone pay attention to what my date was saying. 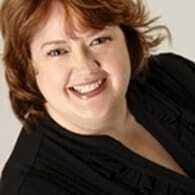 Stephanie Manley founded CopyKat in 1995. For a date, the setting matters, and, at a crowded restaurant, your evening can easily get derailed by strangers one table over. Planning a dinner date at home, however, can cut the stress and unpredictability out of your night. With the culinary chops to match any restaurant, food blogger Stephanie Manley can show home cooks how it’s done by the professionals. That’s why she started CopyKat, a website with easy-to-make recipes for home cooks of all experience levels. CopyKat has thousands of recipes inspired by Panera, Olive Garden, Applebee’s, Red Lobster, and other big-name restaurants. Teaching her audience to cook with quality, Stephanie expertly translates extravagant meals into doable home concoctions. Over the past few decades, she has mastered the art of dining well at home. Her blog and cookbooks inspire home cooks to up the caliber of their homemade meals and spend a quiet date night staying in with someone special. Stephanie Manley grew up in a small town where dinners out were a special treat because, in her neck of the woods, restaurants were few and far between. She began cooking from an early age, standing on her tiptoes on a stool to make scrambled eggs, and had a passion for making delicious meals for friends and family. After developing a taste for family-style home cooking, Stephanie felt she could recreate that special restaurant experience in her own kitchen. She began CopyKat as a way to store her recipes online, and people took notice, writing in to thank her for inspiring them to make professional-caliber dishes at home. Beyond her website, Stephanie has written two cookbooks — “Dining Out at Home Cookbook” and “Dining Out at Home Cookbook 2” — the second of which features recipes available nowhere else. Her helpful guidance gives daters the means to make impressive and tasty creations on their own. 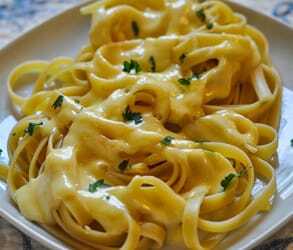 Olive Garden’s indulgent pasta dishes are among the most popular recipes on CopyKat. Whether you want to prepare something light and healthy for your date or whip up a four-course meal with your partner, CopyKat stocks high-quality, homemade recipes to jazz up your night. Innovative concoctions are always on the menu at Stephanie’s house, and she loves sharing her ideas and tips on her blog. Readers in the comments section often give her suggestions for what to make next, so she can better satisfy the cravings of her audience. We asked for CopyKat’s best date night recipes, and Stephanie happily served up three gooey, melt-in-your-mouth fondue recipes. She suggests daters enjoy a cheesy night in, sharing warm bowls of The Melting Pot cheddar cheese fondue, The Melting Pot traditional Swiss fondue, or The Melting Pot Wisconsin trio fondue. For dessert, Stephanie recommends more decadence and fondue fun with her The Melting Pot chocolate fondue recipe. It’s a simple way to treat your date to rich food pairings at the end of the night. Of course, the menu for your ideal date night depends on your tastes and cooking prowess. “You should pick food that you both enjoy with recipes that are naturally easy,” Stephanie said. In particular, she pointed to grilling up a steak dinner (paired with a baked potato) as a simple and intimate meal choice for a date. This is ideal because it takes little monitoring and effort to make. Such easy mealtime preparation lets you ignore the hot stove and pay more attention to your hot date! From winter’s cuddles over soup to summer’s grilling up sliders, CopyKat has recipes to last you and your date all year long. Stephanie proudly identifies herself as a copycat chef. On CopyKat.com, she shares the secrets to making fabulous recreations of your restaurant favorites — to the delight of daters everywhere. Her website has thousands of recipes that tempt the taste buds with flavorful drinks, appetizers, entrees, and desserts. These simple but elegant dishes serve as alternatives to the hustle and bustle of going out to dinner. 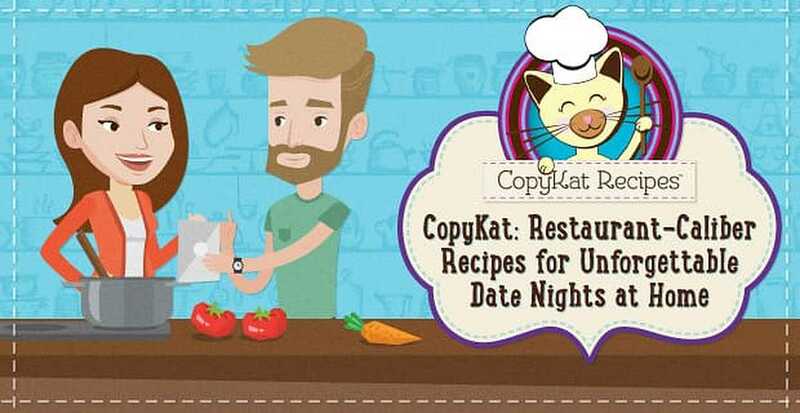 CopyKat stocks many easy-to-make recipes online. It’s an ingenious solution. Next time I’m craving some date-night cheesecake, I’ll be making it myself (courtesy of CopyKat’s Cheesecake Factory recipes) to make sure my romantic evening stays on track. Whether you’re putting together a special anniversary dinner or just looking for a budget-friendly date idea, CopyKat empowers home cooks to find a restaurant-quality recipe and savor less stressful meals with the people they love.